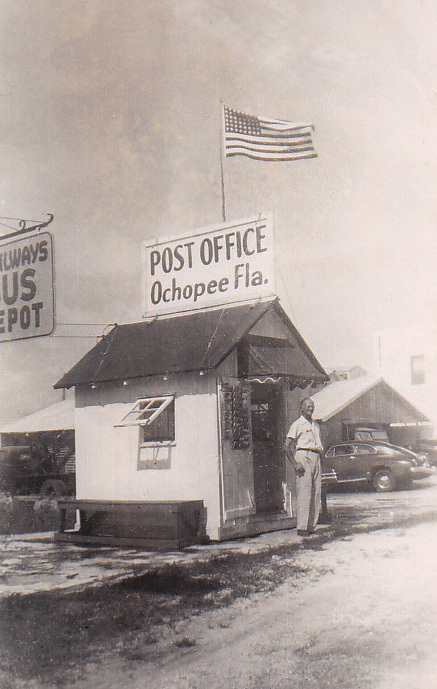 The post office at Ochopee, Florida, perhaps the all-time champion smallest post office in the U.S.A. 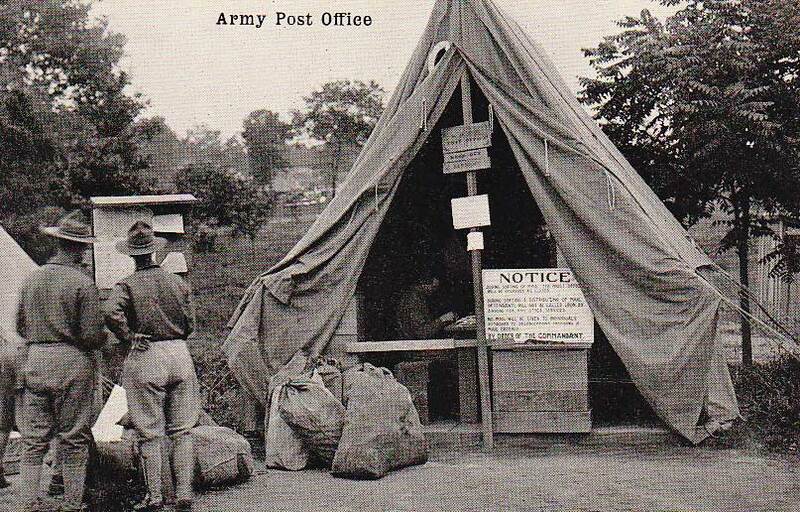 I am told the man in the doorway is postmaster Sidney Brown. 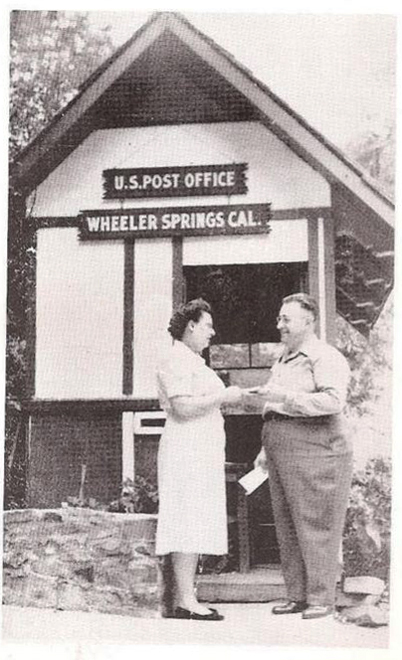 The post office at Wheeler Springs, California, at one time the smallest in the U.S.A.
Post office in Notch, Missouri, “Shepherd of the Hills” country, with the son of the famed Uncle Ike sitting in his rocker, holding his cane. 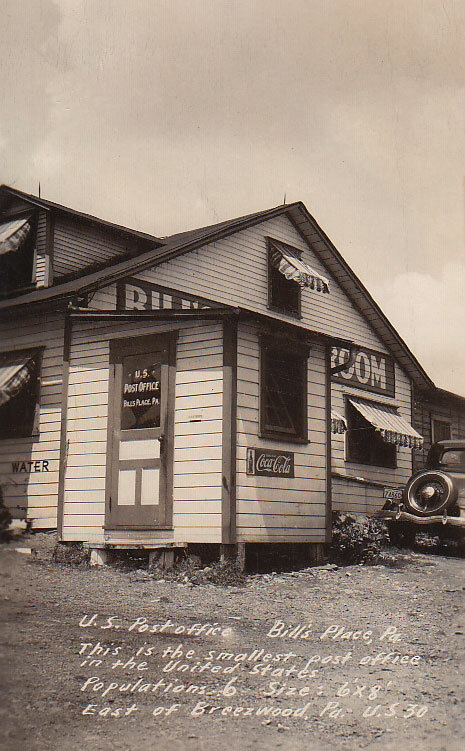 Photo by O.R. 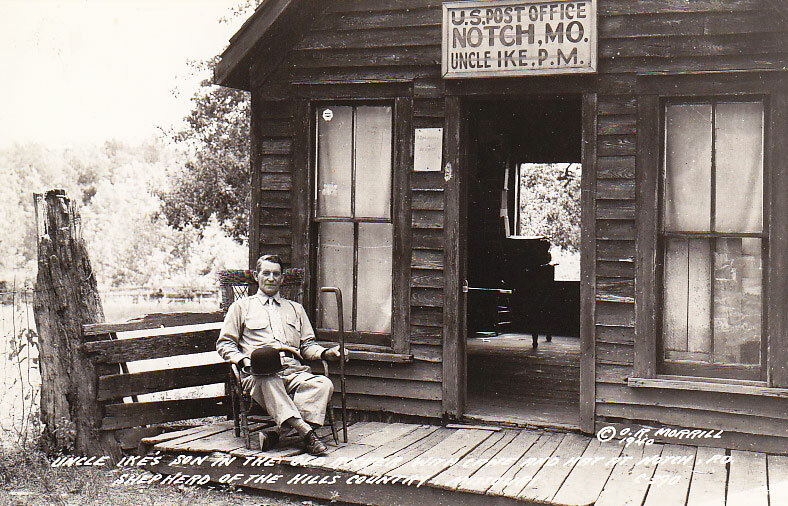 Morrill, 1940. 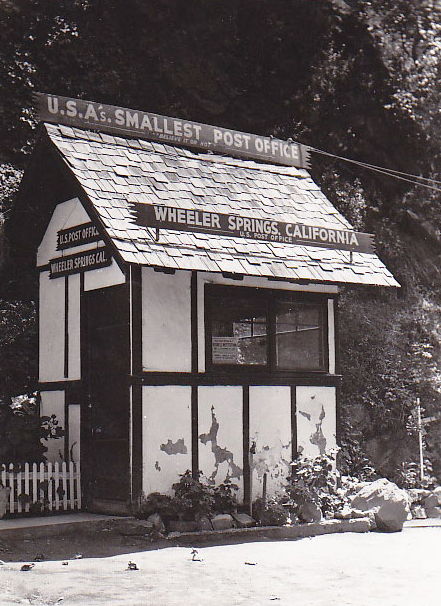 Another candidate for the smallest post office, this one near Breezewood, Pennsylvania. 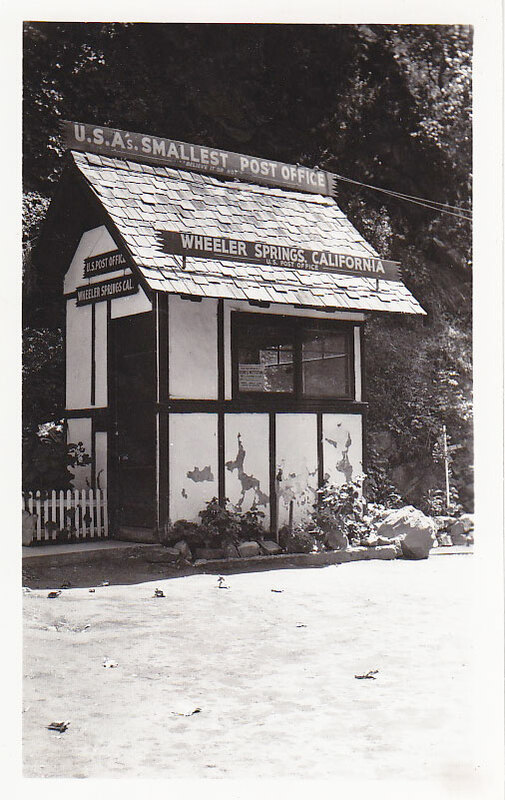 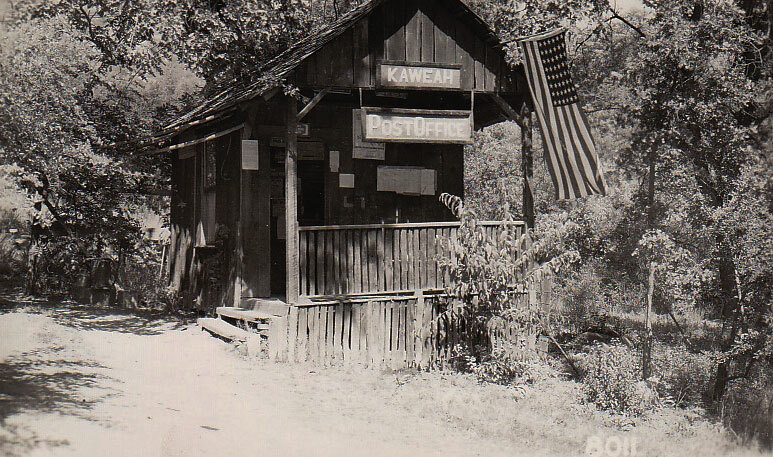 Post office in Kaweah, California; photo by Royal Photo of Colton, California. 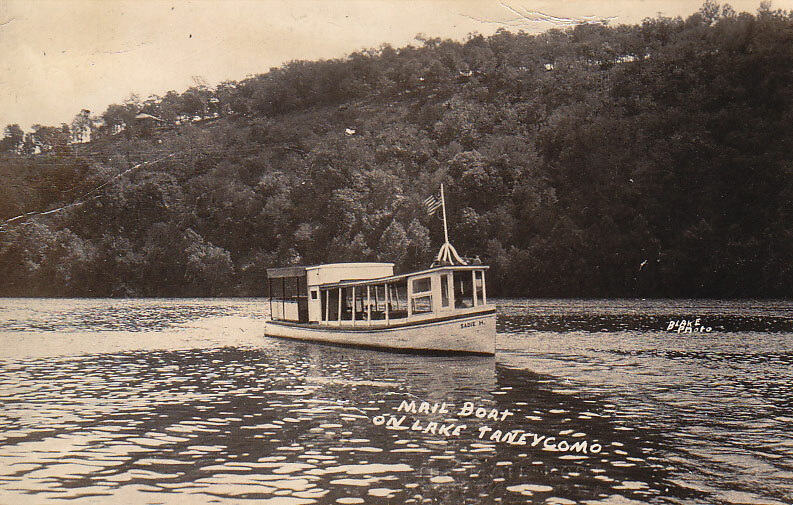 The mail boat on Lake Taneycomo, Missouri, photo by Blake, posted 1949 from Ozark Beach.